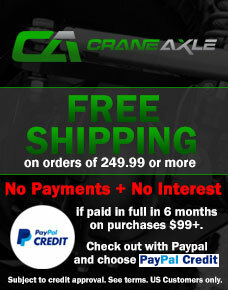 Crane Axle's Dana 44 Hi-Steer Arms. Arms are built out of 1018 CR Steel right here in the U.S.A. for superior strength and prefect fit. Can be used with 9/16" or 5/8" studs.